It is with profound sadness that we are writing this. 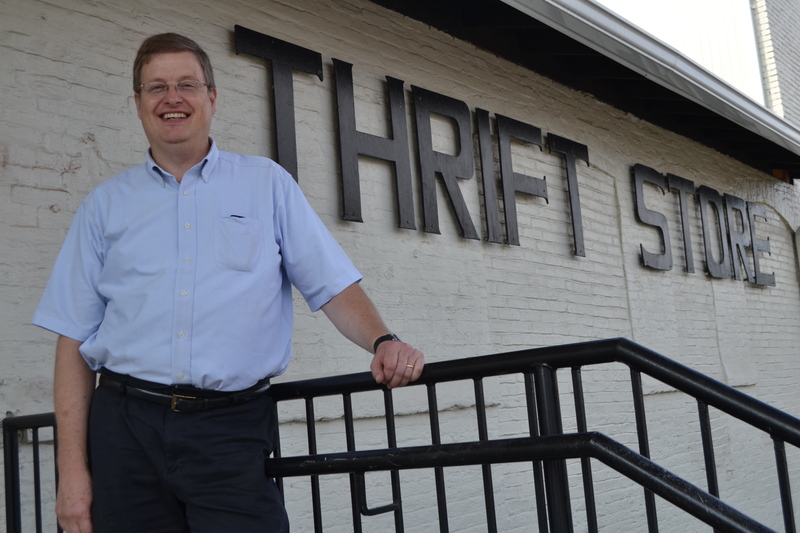 Our friend, and former Thrift Store manager, AJ Imbach, went home to be with the Lord this past week. AJ and his wife, Jayne, were with us only briefly. AJ accepted the call to become the manager of our Hagerstown & Chambersburg stores in the summer of 2013. He came with fresh ideas and an excitement for this new phase of ministry in his life. He was going to help bring some much needed change to our stores and would have the opportunity to build relationships with the men in our program who work at the stores. 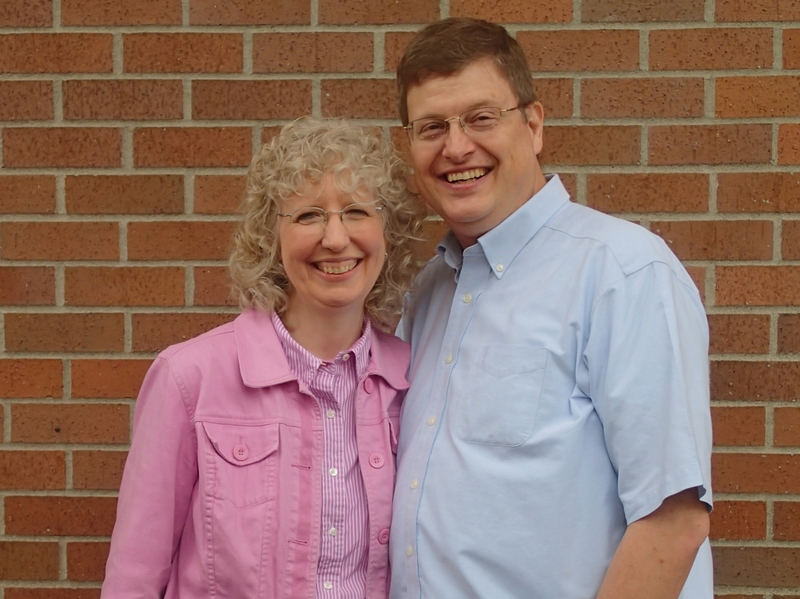 AJ and Jayne were following God’s plan which brought them all the way across the country from Oregon. Both AJ & Jayne were a breathe of fresh air at The Hope Center. Their joy of life and overall positive outlook showed the love of God in them. They were passionate about reaching others for Christ and doing their part to help bring real hope and change to broken and hurting lives. Unfortunately in early fall AJ was diagnosed with ALS or Lou Gehrig’s disease. They were hoping to stay at The Hope Center for a while as he dealt with his disease but it progressed much quicker than expected and the doctors suggested they might want to return to Oregon to be with family & friends. Jayne helped AJ adjust to his condition and worked hard to make him comfortable as his body dealt with ALS. And through it all, both AJ & Jayne remained faithful to the Lord and confident in His will and plan. AJ left his earthly life surrounded by his family. And as we weep here on earth for our loss, we can only imagine the magnificent celebration in heaven for their gain! We wish we could see AJ’s big smile again, and we have confidence that we will see it as each of us are welcomed into eternity. We’re sure Jesus greeted AJ with a big ole, “well done”! AJ & Jayne left a lasting impact on the staff and guests at The Hope Center. Their excitement and joy was contagious and their optimism and confidence in God’s perfect plan was inspiring. We thank God for the opportunity to have met and worked with these two wonderful people. Our thoughts and prayers are for Jayne and the family & friends in Oregon who are left behind. While we may not understand God’s plan through all of this, we know that His plan is perfect and greater than our minds can ever understand. Please pray for Jayne as she begins a new chapter in her life. It’s going to be difficult but we know that she is an amazing woman who has a close and deep relationship with an amazing Savior. Please pray for her healing and her new journey. And please remember to pray for the thousands of families across this nation who are dealing with loved ones suffering from ALS and other terrible diseases. Life is so precious and so many people are hurting and only God can provide the true peace and hope that we all need. If you have any questions about AJ & Jayne, please call 301.739.1165, email hagerstownrescue@verizon.net or mail us at P.O. Box 685, Hagerstown, MD 21741. If you don’t have the peace of Christ in your life and are desperate to experience the joy that AJ had, please contact us immediately so we can talk to you about the greatest relationship you will ever know with Jesus. As long as you’re still breathing, it’s never too late. God doesn’t care about your past, He is ready to change your future. Don’t wait to prepare for eternity. This entry was posted in General, Hope Center Staff, In Memory, Stories of Hope, Thrift Stores and tagged ALS, Bible, Chambersburg, cross country, death, faith based ministries, faithfulness, God's peace, gospel, Hagerstown, heaven, helping others, Jesus, joy, life change, Lou Gehrig's disease, management, Maryland, medical issues, missions, Oregon, peace, Pennsylvania, Portland, retail, salvation, thrift stores, Union Rescue Mission, Washington County by hopecenterhagerstown. Bookmark the permalink.